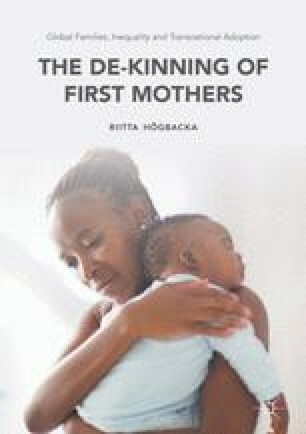 The chapter focuses on the influence of time, changing priorities and unequal positions in an analysis of ongoing contacts between adopters and first mothers, and further investigates whether such arrangements facilitate the inclusion of first mothers and, if so, how. Utilising the concept of empathic identification, Högbacka examines its applicability in contexts of unequal power. Case studies of open adoptions are analysed from the perspectives of adopters and first mothers.